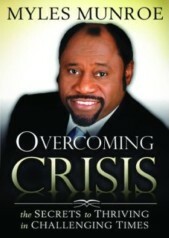 Is an insightful non-fiction read about servant leadership. The perspective is refreshing. These short, inspiring chapters are designed to help the reader discover that we’re all created to serve and to lead. Systematically divided into three sections, this wonderful book begins by teaching us about that destiny, moves onto the principles of servant leadership and finishes with practices of servant leaders. 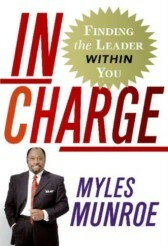 I would recommend this book to anyone regardless of their current leadership role. Change happens whether we're ready for it or not---but don't let it derail you! 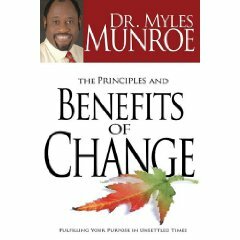 Learn to respond effectively with Dr. Munroe's inspiring insights. He'll help you discover how to be free of fear during unsettling times; find direction and purpose in periods of transition; live in confidence and peace; view life from God's perspective and more. Unemployment, economic meltdown, war . . . fears abound, and Christians aren't immune. Munroe assures you that you can survive these trying times! Encouraging you to obey God's command to take dominion over the earth's resources, he shows how applying the time-tested principles of God's kingdom can help you overcome crisis and thrive during hard days ahead. What exactly was God's intention for this earth? To fill his creation with the culture of heaven! 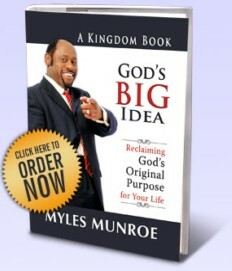 Munroe reminds us that despite the fall, God's purpose for you still remains the same. Learn how to fulfill your destiny, to enjoy continuous fellowship with God, and how your daily decisions make a big difference.